Animation showing how colliding black holes cause a ripple in spacetime that moves outwards into the universe as a gravitational wave. The ‘sound’ of the black holes colliding where the measured signal from LIGO is converted to audio, the rising chirp sound towards the end is the two black holes spiralling together ever more quickly. A surprisingly wimpy sound for the most extreme collision ever detected. A Falcon 9 first-stage automatically returns to the barge/droneship ‘Of Course I Still Love You’ in the middle of the Atlantic ocean. Unfortunately, with the explosion of a Falcon 9 on the launchpad, the company was grounded, but apparently hopes for a resumed launch in early January. SpaceX outlines a vision for travel to Mars with planned Interplanetary Transport System. Add to that the visionary plans to settle Mars outlined by Elon Musk, albeit not without some audacious challenges, and it’s been a year of highs and lows for SpaceX. What a trip to the Sun’s closet neighbour would look like. 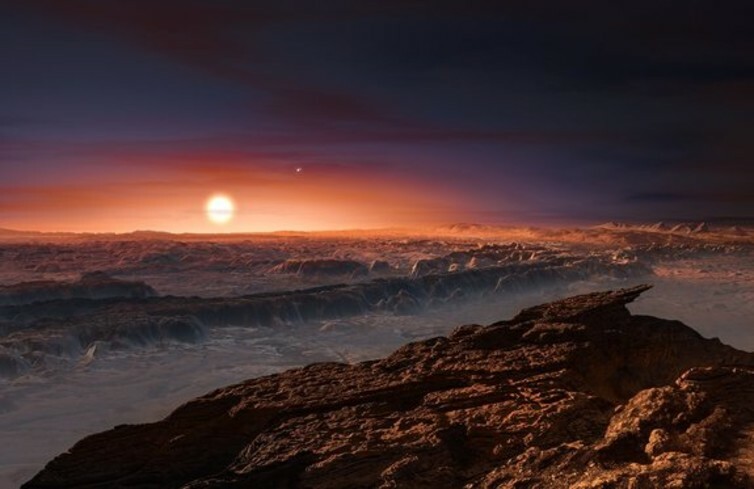 One of the founders of the Breakthrough initiatives, Yuri Milner, discusses the technology needed for breakthrough starshot. 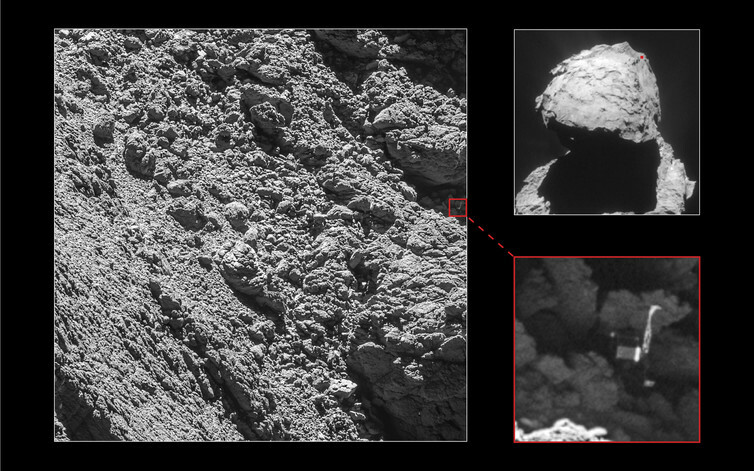 Philae’s crash location, as well as the orientation of the doomed probe, has allowed astronomers to accurately interpret data taken by Rosetta regarding the composition of the comet. 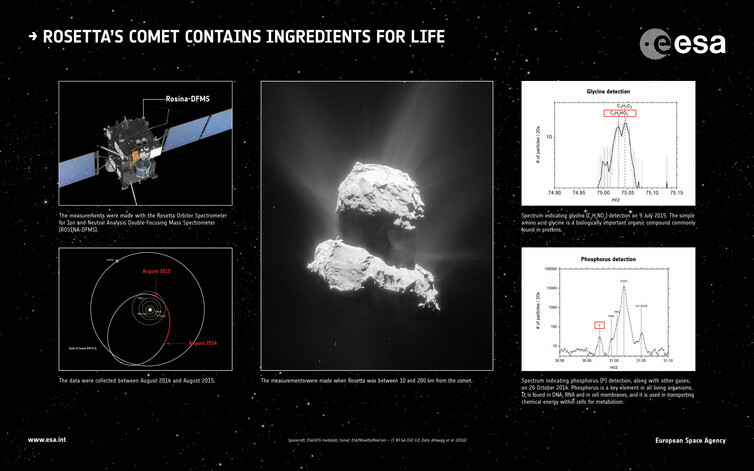 While Philae has literally been living under (crashed on) a rock for the past two years, Rosetta has been the busy bee, taking numerous images, spectroscopy and other data of the comet. The future for astrophysics in Australia in 2017 looks particularly bright, with two ARC Centres of Excellence: CAASTRO-3D studying the build of atoms over cosmic time; and OzGRav exploring the universe with gravitational waves; as well as SABRE, the world’s first dark matter detector in the Southern Hemisphere, installed by end of the year.